In Malawi, names have special meanings. Names are not given because they sound pretty or fit with the other family members’ names. They are given for a significant reason. Mawu, one of our children, means “word or vision” and she received her name after her mother had a very big vision for her life. Chikondi means “love.” And the list goes on…If I had to go back today and name the Grace Center, I couldn’t think of a better suited name. What meaning it holds! God’s grace is everywhere, impacting every person who walks onto the Grace Center campus. Grace is the concept that although we do nothing to earn it, God rescues us and makes us new. God is showing His grace in incredible ways in Malawi and if you look at each person, you can see where God has touched their brokenness and hurt leaving a fingerprint of His grace. He takes the orphan and gives them a father; He takes the sick, heals them and shows them how to heal others; He takes the persecuted and gives them leadership; He takes the starved and gives them abundant strength. 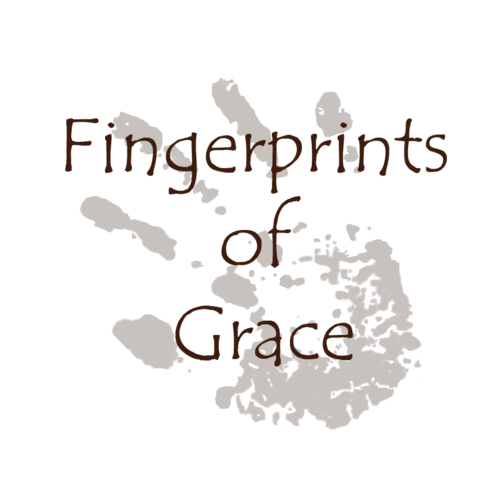 Over the next several weeks, we will be sharing with you the stories of God’s fingerprints of grace. For today, here are a couple of questions for you to ponder: where are God’s fingerprints of grace in your life? And, where do you need to leave a fingerprint on someone else’s life? Posted on September 24, 2012 by Karen Roller.